Within the Information Security world the word Risk is key. Understanding and managing that word can make the greatest of difference to an organisation. CQR are proud in the fact that they practice what they preach and their risks are checked, managed and improved at every opportunity. 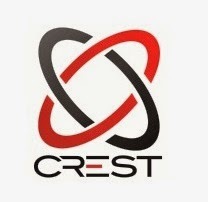 And to reinforce the work that they do and the value and the expertise that they have they have now officially become a member of CREST Australia. Crest is the Council of Registered Ethical Security Testers and in order to become one of their CREST Approved companies each is subjected to auditing and CQR are happy to have passed this process and are now on the list of CREST Approved companies. To complete the process 3 of CQR’s best security specialists have completed CREST’s demanding CRT examination process and have become certified information security testers. CREST’s CRT exam is based on the applicant’s skills and experience, there is no way to prepare for it except to rely on your own knowledge. One of CQR’s specialists achieved the highest score that has ever seen in the exam, and CQR are very proud of all of their specialists who took part and passed. All those who pass the examination must be employed by a CREST approved company to be part of CREST Australia. In achieving approval from CREST this shows that CQR and its security specialists work to the highest of standards and are dedicated to providing the very best of service to their clients.